WOW...what an awesome post, Cher.Thanks to all these girls and women who made a difference for the world we live in today.!!! Ruby Bridges-America at it lowest. 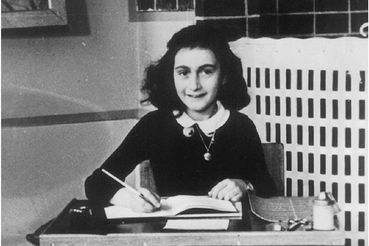 Anne Frank, humanity at it lowest. Thanks for this post, Cher. I read Helen Keller's book and story over 30 years ago, and though closer to home Anne Frank's diary only a month or so ago. Nujood Ali's story personally touches me most though, as it is the most recent and still very much a reality in some parts of the world. Thank you for sharing, Cher ! These young ladies lived a lifetime in such few years and they have proven that they were mature beyond their means!! Kudos plus to these ladies of inspiration!!!! Nice to see women of color being included in this. So many young ladies who have proved to be an inspiration to us all.